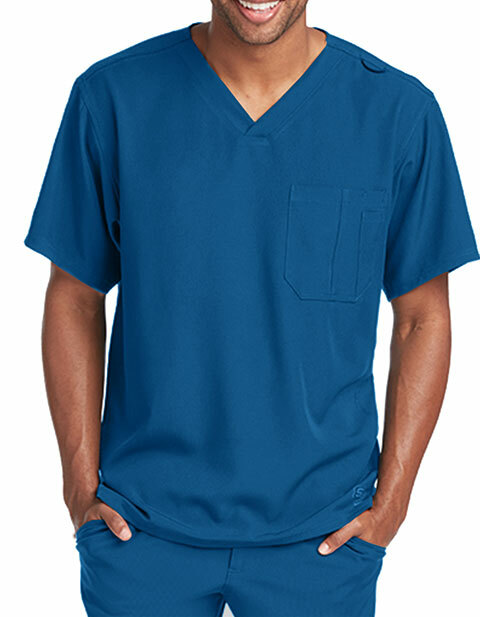 Enhance your masculinity in Skechers SK0112 men's structure V-neck scrub top! The top is made using a comfortable four-way stretch fabric that will keep you comfy all day long. With its no-fuss look and convenient chest pocket, get the best out of your workwear.